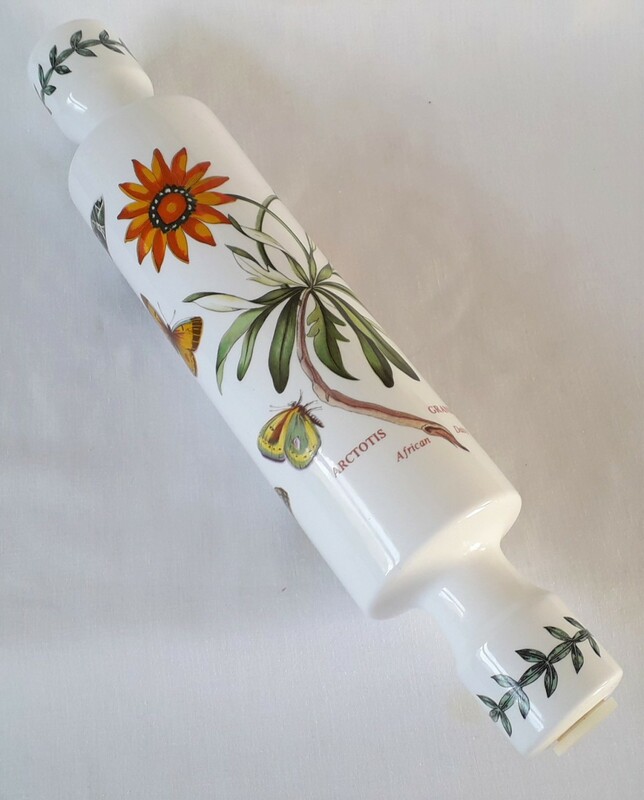 A Portmeirion Botanic Garden ceramic rolling pin featuring the Arctotis Grandiflora African Daisy. The rolling pin measures approximately 13 1/2 inches long. The rolling pin has been previously owned and comes complete with the plastic bungs at each end. This item is no longer available so take a look at our current Portmeirion items.